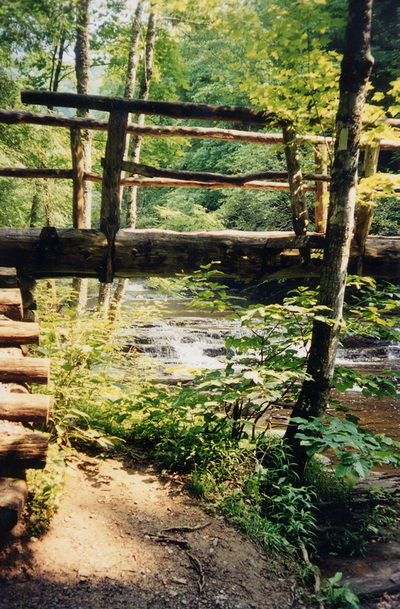 ​Hunting Camp Creek Wilderness is in the northwestern part of Bland County. Established in 2009, this 8,471 acre wilderness combined with the 3,331 acre Garden Mountain Wilderness and the 5,613 acre Beartown Wilderness creates a Wilderness complex of over 17,000 acres and protects over sixty percent of the Burke's Garden rim. Burke's Garden, a sheltered cove located in Tazewell County, is a unique geological feature in southwest Virginia. ​Between Garden Mountain and Brushy Mountain is Hunting Camp Creek. Hunting Camp Creek begins as a small spring at the far western end of the wilderness and begins an unhurried descent to Wolf Creek, a tributary of the New River. This designated cold water stream is paralleled by an old railroad grade but a hike up the creek from the Jenkins Shelter is difficult due to the rhododendron hells that line the stream. 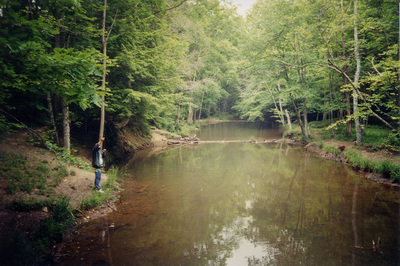 Due to its gradual descent, Hunting Camp Creek used to play host to numerous beaver colonies. In several places the old beaver flats are still visible. Little Wolf Creek flows through a narrow valley just south below the crest of Brushy Mountain. This creek is also paralleled by an old railroad grade; however, access is much easier because it was once a part of the Appalachian Trail. 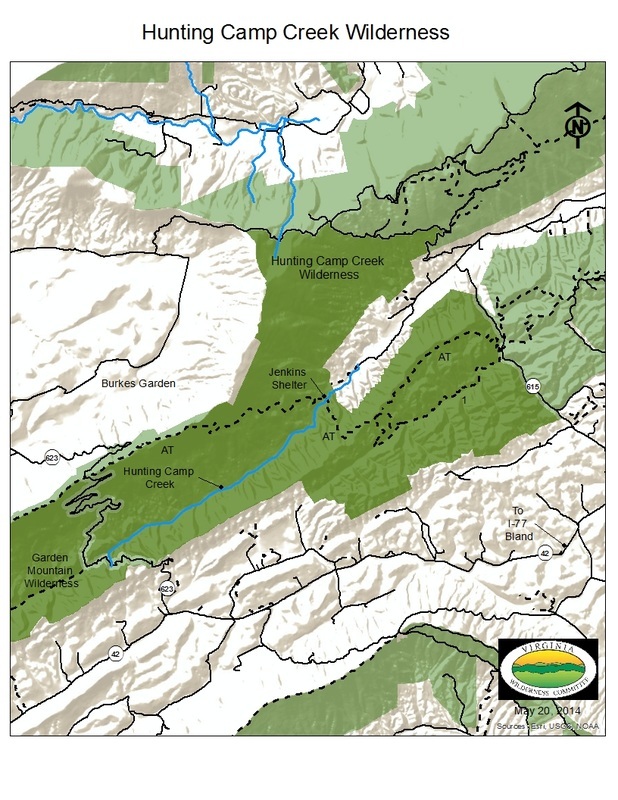 The elevation ranges in Hunting Camp Creek Wilderness range from a low of 2,400 feet along the banks of Hunting Camp Creek to just over 4,000 feet on the crest of Garden Mountain. 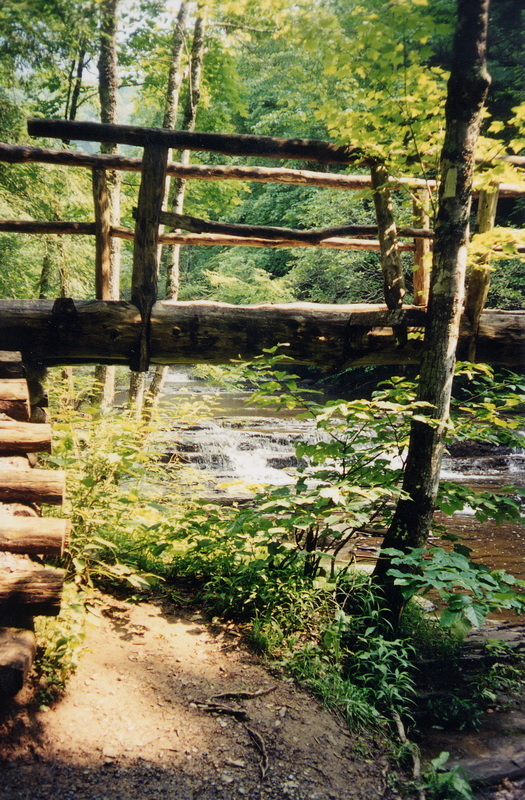 The sheltered spring feed valleys of both creeks host towering cove hardwoods including White Oak. Tulip Poplar, Sugar Maple, Basswood, Frasier Magnolia, and White Pine. 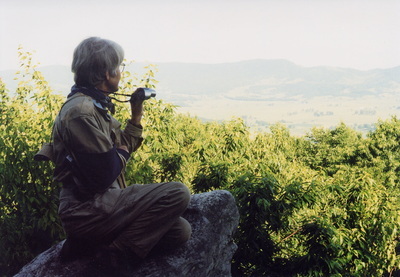 The dryer ridge crests of Brushy Mountain and Garden Mountain are dominated by Chestnut Oak, hickory, and other dry upland species of the southern Appalachians. A walk along the Appalachian Trail passes through these distinct ecosystems. 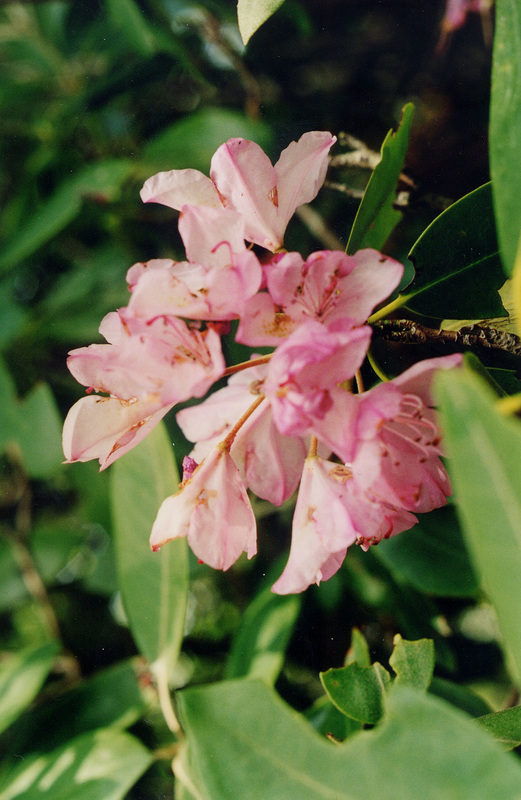 Located throughout the Hunting Camp Creek Wilderness are several pockets of old-growth forest. One notable stand is located near State ​Route 623 near the crest of Garden Mountain. This stand of upland hardwoods is almost 1,100 acres. Over half of the stand is located in the Garden Mountain Wilderness. 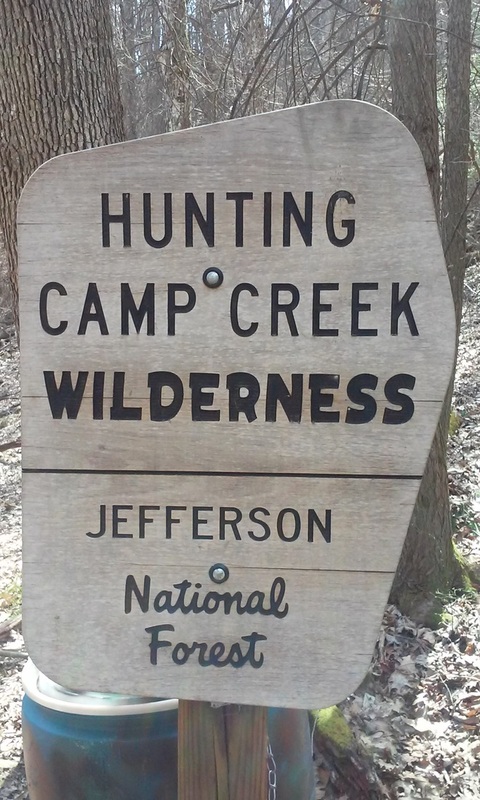 ​There are only two trails in the trails in the Hunting Camp Creek Wilderness. From the trailhead on State Route 615, these two trails can be combined to create a loop of nearly six miles.